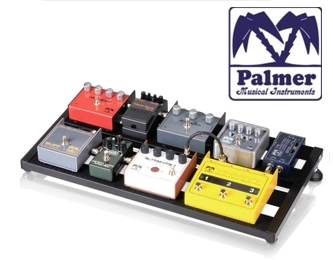 Universal aluminium Pedalboard for the storage of all commercially available floor effects. The cross bars as well as the height and the tilt of the Pedalboard can be individually adjusted. The cross bars are already covered with Velcro (fleece), a sufficient amount of hook strap is also included. Power supplies and similar peripheral devices can be mounted below the board. For this the Pedalboard features 4 practical hooks on the underside. 2 Elastic bands are supplied – making fixation easy!